Led by Capt. (later Rear Adm.) Milton “Mary” Miles, SACO [Sino-American Cooperative Organization] quickly expanded its role, fighting the Japanese on the mainland in exchange for protection of SACO’s weather and radio stations by the Chinese army. The Japanese weren’t the only threat: the operation was undermined from the very beginning by factions within the U.S. Army, the Office of Strategic Services (OSS), and the State Department — which demanded to know what the hell the Navy was doing on the ground in China. 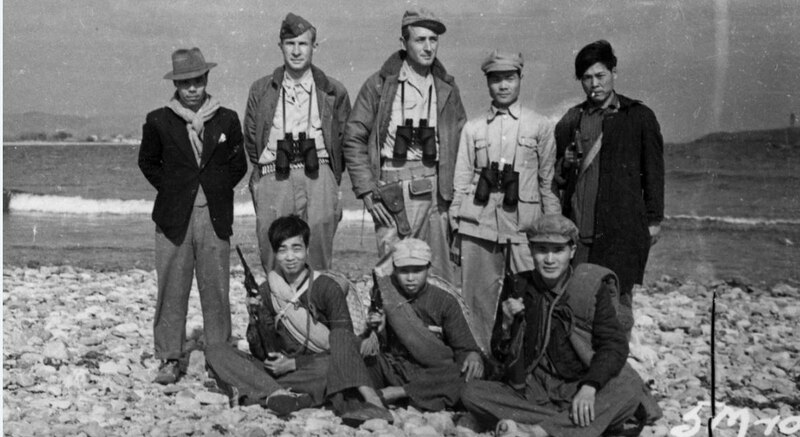 But by the end of the war, some 2,500 SACO men had served in China, not only cracking intercepted Japanese code and gathering crucial meteorological information but blowing up enemy supply depots, laying mines in rivers and harbors, rescuing downed American pilots, and training thousands of Chinese peasants in guerrilla warfare. Well now, that’s kind of different from the standard fare. I thought it sufficiently ‘out there’ for inclusion here. Apologies for the scarcity of good weird stuff. Good ‘n’ weird is good.